I’ve been getting back into the music of Don McLean, who was such a key player in my high school years from 1970. I am unable at this stage to go into the sort of depth I have with previous artists, but have discovered that the many gaps in my album/CD collection can, with a bit of dedication, be filled thanks to that miracle called the internet, and more specifically YouTube. Everyone knows that Don was best known for his 1970 album American Pie, with the title track especially being ranked as among the greatest rock songs ever written. There is a wealth of other good writing on his albums, especially the early ones like his first, Tapestry (a vinyl copy of which I picked up for a few rands at a second hand shop, albeit that it was released in Spain in 1972, with the liner notes in Spanish). Listening to these early albums and watching the young Don (he was born in 1945) perform around 1970, when he was about 25, reveal just what a wonderful talent he was. Wikipedia tells us his mother’s side of the family were Italian, and he grew up in Port Chester, New York. Oh and that he suffered from asthma as a youngster and missed a lot of school – time which he increasingly devoted to listening to music and learning to play the guitar and banjo. He paid his dues in the mid-1960s, playing at folk clubs and even the Newport Folk Festival. Bizarrely, he was turned down by 72 record labels for Tapestry before it was released to good reviews but little commercial success by an obscure label, Mediarts, in 1969. Fortunately for him, Mediarts was bought out by United Artists Records, who then released American Pie, which gave him two No 1 hits songs – the title track, and Vincent. It is about the latter I’d like to speak. I recall watching a BBC documentary some 24 years ago in which Don McLean was interviewed about this very song. It focused on how certain artists acquired the mystique they did and which saw the value of their works skyrocket. It was suggested that Don McLean’s song, Vincent, had a major positive impact on the public’s view of Van Gogh’s work. Of course his work was already famous before then, but it became even more famous thereafter. Sadly, I have been unable to track down that documentary. However, I did find an informative interview with him by Helen Brown of the London Daily Telegraph, one of the world’s great newspapers. It casts an interesting light on this brilliant piece of song-writing. The stop-start of McLean’s humble delivery pays homage to the stop-start brush strokes of its subject and captures the painting’s sense of spontaneity, building toward the moment of high, romantic drama – the strum – when the artist takes his own life. It begins almost abruptly – as if McLean is responding to an unheard voice. There’s no instrumental introduction: the vocal and guitar begin simultaneously: “Starry starry night/ paint your palette blue and grey/ look out on a summer’s day/ with eyes that know the darkness in my soul.” When McLean sings of the dead painter seeing into the darkness of his own soul, he’s asserting a kinship of creativity, a shared sensitivity to life’s beauty and pain. Van Gogh painted the swirling, hyper real Starry Night, after committing himself to an asylum in St Remy in 1889. He wrote to [his brother] Theo that he often felt the night to be “more richly coloured than the day”. He believed the souls of the dead dwelt in the heavens. “Just as we take the train to go to Tarascon or Rouen, we take death to go to a star.” But while in the asylum, he couldn’t get outside at night and so painted his Starry Night from memory. McLean reveals that when he wrote his tribute to Van Gogh: “I was in a bad marriage that was torturing me. I was tortured. I wasn’t as badly off as Vincent was, but I… I wasn’t thrilled, let’s put it that way.” He has described much of his early life as “unbearably blue”, following the death of his father when he was just 15. McLean took the career path less travelled, and on the American Pie album expressed all his disenchantment with a world in which rock ’n’ roll and JFK were dead, and hundreds were still dying in Vietnam. It’s a deeply cross-referential collection of songs. McLean tells me when listeners play the album’s love ballad Empty Chairs he means them to see Van Gogh’s painting of a chair. And in Vincent’s starry night, we catch an echo of the Stars and Stripes that had so thrilled and disappointed the singer. Vincent spirals around the fact that Van Gogh’s work was not appreciated in his life time. That although he tried to set his audience free, “they did not listen, they did not know how”. Those who love Vincent have surely felt undervalued by the world. Perhaps even too fragile for it. What a humble hero – and a fine example of good journalism by Helen Brown. The new cover, designed by Douglas Bentley, who curiously turned the Beatles image on its side. This blog was originally intended to be a book – but it was always going to be too long and unwieldy for any publisher to be interested. So it became a blog instead. 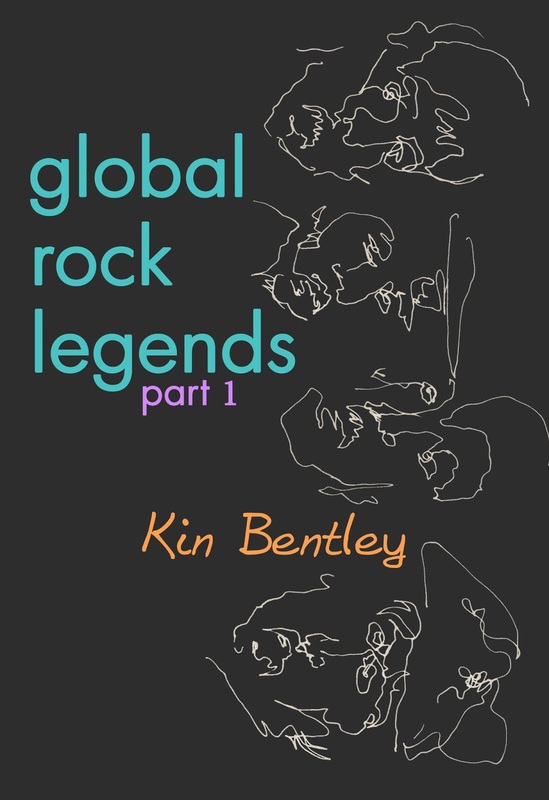 But now I have started turning it into a book – albeit an e-book. 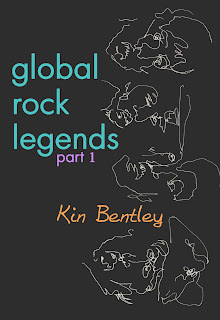 And Part 1 is now available from Amazon.com. I have substantially revised and updated my original blog postings. There is a lot to read here - an estimated 692 pages. I invite you to read the preview. Just go here. Thanks must again go to my son, Douglas, an IT student at the Nelson Mandela Metropolitan University in Port Elizabeth. You may think publishing a book on Kindle is simple, but I watched him do this one and it really does require a substantial understanding of things like HTML and coding generally, which I know nothing about. Lashings of patience are also required. In a bid to avoid copyright complications, I have restricted my use of images to the album covers, in the belief that these fall under the “fair use” category in so far as the small images are used simply to illustrate the text. For my main pictures I have done my own original drawings of the artists. 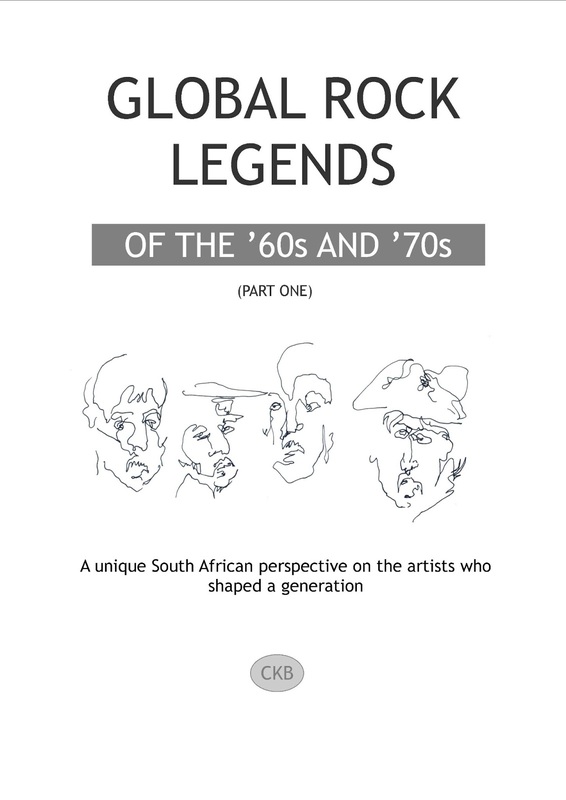 Anyway, here’s hoping there are people around the world interested in this book, which coincidently ties in with the documentary feature, Searching for Sugar Man, mentioned in my previous posting, in so far as the liberal white South African’s relationship with rock music was, in a way, far more intense than it perhaps was for young people growing up in the West. We were a bit like young people behind the Iron Curtain. With a racist, puritanical party ruling and ruining the country, while keeping the lid firmly down on as many “subversive” Western influences as possible, it meant our association with rock music was very much part of our rebellion against the state and the apartheid establishment in general. WHEN the Oscar winners are announced at the 85th Academy Awards in Los Angeles on February 24, South Africans will have a very good reason to be interested in the Best Documentary Feature category. Because a film which is among the five nominees – Searching for Sugar Man – is, from a South African perspective, one of the most powerful and poignant yet produced. This, remember, was apartheid South Africa. We were governed by a puritanical National Party which ran a racist dictatorship. A key part of this film, which is a joint Swedish/British production, is the context of Rodriguez’s popularity in a country where a growing number of young white liberals were openly challenging the immorality of apartheid. The anti-apartheid struggle by the victims of that system – black people – has been well documented. Less well known is how a large percentage of young whites in the 1960s, ’70s and ’80s, also supported the struggle. Something of that challenge to the state is revealed in clips from the 1970s of riot police breaking up anti-apartheid protests on the campus of the University of Cape Town. While for me Sixto Rodriguez’s album was just one of a plethora of discs by brilliant anti-establishment artists from the era – think Dylan, the Beatles, the Stones, the Who, Jimi Hendrix and dozens more – for many his lyrics in particular spurred on their antipathy for and activism against apartheid. One such person was Stephen “Sugar” Segerman, who later would work in CD production in the 1990s and re-release those pivotal couple of Rodriguez albums. The only problem was, no-one could tell him who Rodriguez was, where he lived and whether he was still alive. So in his liner notes he asked rhetorically if anyone knew anything about Rodriguez. It fell to Craig Bartholomew Strydom, a Joburg music writer, to take up the challenge of helping him find this elusive genius. So here we have two South Africans desperate to discover the truth about a man who had simply disappeared after bursting on the scene with Cold Fact. Rumours abounded that he had committed suicide. Some even said he shot himself on stage. This was at a time when young rock star deaths were not unfamiliar. Hendrix, Janis Joplin and Jim Morrison all died at the age of 27 around 1970. What makes this story so incredible is Rodriguez’s humility. His albums had failed abysmally in the key US and UK markets, selling virtually no copies at all. He firmly believed he had failed, and went back to a life of hard labour, demolishing and restoring old buildings in Detroit. Little did he know that for a time in the early 1970s his record, Cold Fact, had outsold virtually everything else in this country. Once the SA men finally discover he is indeed still alive and well and living in Detroit, they set in motion a plan to bring him out to this country for a series of concerts. 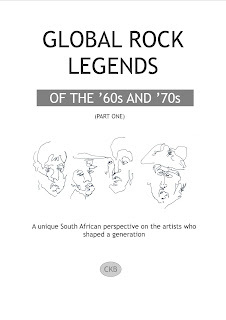 So finally, in 1996, more than two decades after the youth, gatvol with the apartheid government, had elevated him to icon status, this mixed-race man – his heritage includes Native American and Mexican – came out to this country and discovered that he was, in fact, a rock star; a living legend. The film showcases all that is best about South Africans. The perseverance of the men who tracked him down is commendable, as is the hospitality shown to Rodriguez and his family. And his SA fans did not let him down either, turning out in their thousands at his concerts, where he was backed by SA musicians. The fact that this film was made by outsiders, and not South Africans, gives it added impact. It is easy to blow one’s own trumpet, but when someone objectively does it for you, it is all the more satisfying. 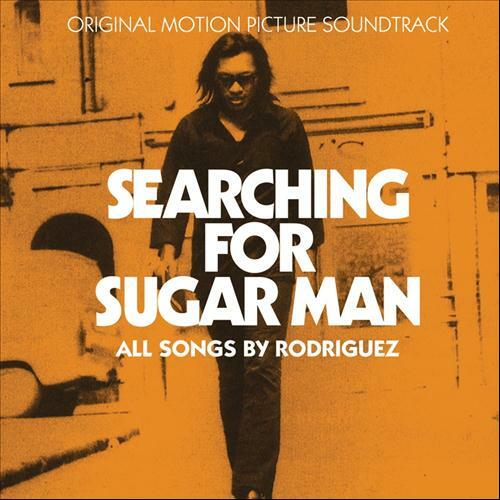 In 1996, Rodriguez was unheard of in most of the Western world. Do a Youtube search today and you’ll discover he has, in recent years, been performing far and wide. Not bad for someone now pushing 70! But had it not been for the curiosity of those two SA men, it is a moot point whether he would ever have enjoyed this moment in the spotlight he so richly deserves. Roll on the Oscars. While I can’t comment on the other four films competing for glory in this category, I believe if Searching for Sugar Man wins it will be a huge boost for this country – there are lovely shots of Cape Town – not to mention what it will do for Rodriguez himself. Finally his records might start selling in big numbers in the US and elsewhere around the world. They’ll only be about 40 years behind South Africa! MOST of us born in and around the 1950s probably never got much time, in later years, to sit back and ponder the impact that growing up in the 1960s and 1970s – when there was an unprecedented outpouring of innovative music – had on our lives. We were raised on vinyl records, starting, for me anyway, with the Big Five – the Beatles, the Rolling Stones, the Who, Bob Dylan and Jimi Hendrix – but obviously overlapping with a whole host more. For most of us this phenomenon was simply part of our upbringing. While many “lived” for their music – like kids today are obsessed with computer games, cellphones, iPods and the Net – few of us had the time or inclination to make even a half-serious study of it. Now, as we mature like a good cabernet, those legends are literally a dying breed. And suddenly we come to realise that we lived through two incredible decades of music. This is an attempt, by one whose life was shaped by the sounds of that era, to make sense of those special times. By taking each group, or artist, and looking at their biographies and music – especially the lyrics – I hope to rekindle a delight in the soundtrack of our youth. These were the rock pioneers, the people who turned music on its head. There is probably not a band or solo artist today who doesn’t owe a substantial debt of gratitude to the legends covered here. On the southern tip of Africa, in a South Africa under the yoke of apartheid, we were cut off from the Western world not only geographically but also through our increasing isolation due to cultural boycotts and other sanctions. We had no television till the mid-1970s. But we did have music, and it constituted a covert form of rebellion against the strictures of a hypocritical, ultra-conservative regime. On a personal note, having been born in 1956 and with two older brothers, my childhood was steeped in the A to Z of the good stuff – from Audience to ZZ-Top. Over the coming months and years I will investigate each group from my personal perspective – and in so doing hope to build up a case for this period to be recognised as the musical equivalent of the Italian Renaissance in art. I begin by looking at my own early childhood, when my parents’ records were the dominant factor, and follow that with the next stage, when most of our sounds came via the radio. I then plunge into the vast list of brilliant groups and solo artists who shaped our lives. This not only includes rock groups, but also has a strong bias towards folk music.